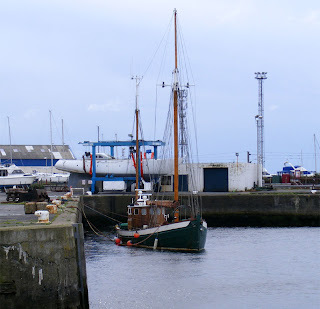 Converted sailing trawler Nordcaperen on slack lines at Ardrossan Harbour 05 September 2008. More details (and the price!) available here.